A year ago on July 8, over 30,000 people inside California prisons began a hunger strike to bring an end to the state’s use of indefinite solitary confinement. On the one-year anniversary of the largest prisoner hunger strike in California history, the Center for Human Rights and Constitutional Law (CHRCL) today is filing a lawsuit charging Jeffrey Beard, secretary of the California Department of Corrections and Rehabilitation (CDCR), and CDCR with illegally refusing to publicly disclose information, data and studies regarding its solitary confinement rules, policies and practices. 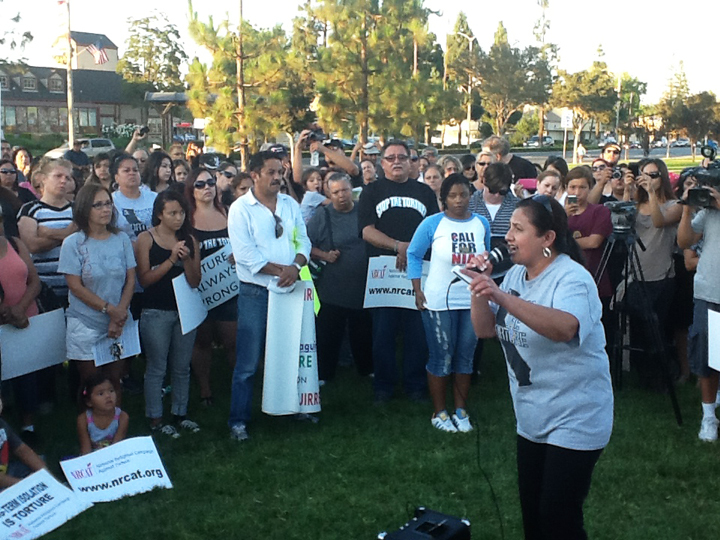 Dolores Canales, founder of California Families Against Solitary Confinement, speaks at a rally in Norwalk, California, on the day the third California mass prisoner hunger strike began, July 8, 2013, one year ago today. Prisoners’ families see the hunger strikes and the torture that instigates them not only as political issues but as personal issues that could take the lives of their loved ones. The lawsuit is brought under the Public Records Act in order to achieve greater transparency regarding the conditions which gave rise to the hunger strike and CDCR’s current policies and practices of solitary confinement. CDCR’s use of isolated segregation is an important and legitimate matter of public concern. The lawsuit is filed in the Superior Court of Sacramento. The original four hunger strikers in Pelican Bay State Prison, Sitawa Nantambu Jamaa (R.N. Dewberry), Todd Ashker, Antonio Guillen and Arturo Castellanos, issued the following statement today: “We believe the hunger strike of 2013, joined by thousands of prisoners, led to increased public awareness and momentum for reform with regards to California’s excessive use of solitary confinement. 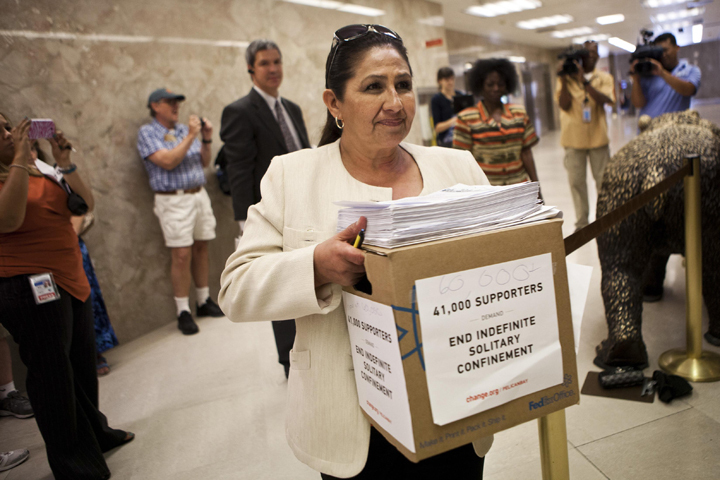 Dolores Canales, founder of California Families Against Solitary Confinement, delivers 60,000 signatures (an additional 19,000 had been gathered after the sign saying 41,000 was made) protesting perpetual solitary confinement to Gov. Brown’s office on July 30, 2013. She and Marie Levin behind her – both with loved ones in solitary for decades – have emerged as leading advocates in the struggle to end torturous solitary confinement and have inspired hundreds of other prisoners’ family members to speak out at rallies and at legislative hearings. Dolores Canales, founder of California Families Against Solitary Confinement, issued the following statement today: “Family members of thousands of prisoners in solitary confinement in California have suffered tremendously along with their loved ones in prison. Limited opportunities for visitation with family members and the total absence of contact visits unfairly punishes family members and breaks down family bonds and relationships. 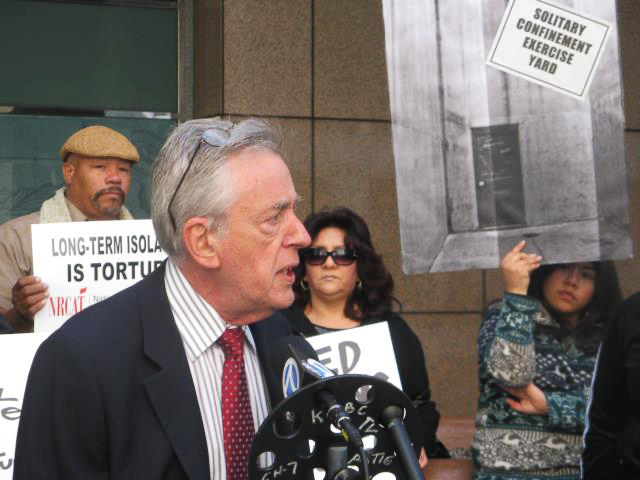 Peter Schey, president of the Center for Human Rights and Constitutional Law and lead counsel in the Public Records Act case, issued the following statement today: “Little verifiable information is available to California’s citizenry on the number of prisoners in solitary confinement in California and the extent of their mistreatment. 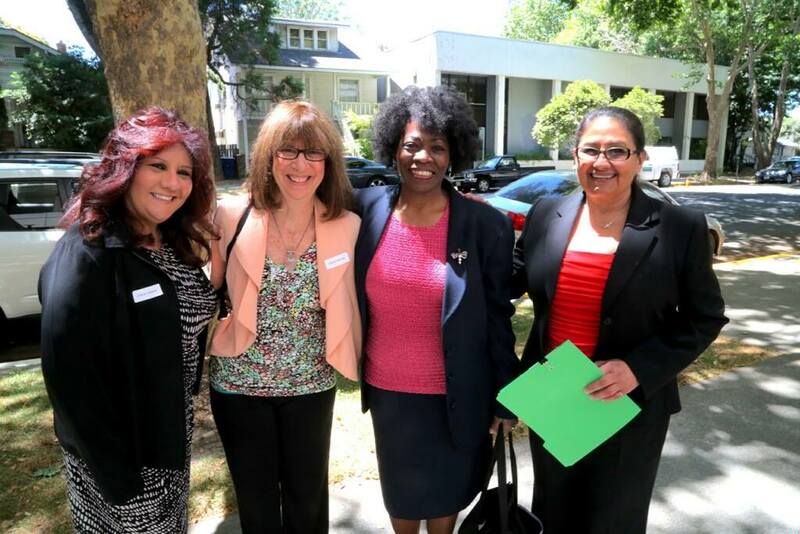 Prisoner rights advocates Irene Huerta, Beth Witrogen, Marie Levin and Dolores Canales traveled to Sacramento for a meeting with California Corrections Secretary Beard and other top prison officials on June 26, 2014. United Nations Special Rapporteur on Torture and Other Cruel, Inhuman and Degrading Treatment or Punishment Juan Mendez issued the following statement: “I express my deepest solidarity with the inmates and their relatives, who are demanding a change in the state’s excessive use of solitary confinement as a disciplinary measure for prolonged periods by prison authorities under the California Department of Corrections and Rehabilitation. The 2013 hunger strike was joined by thousands of prisoners in and outside California and resulted in retaliatory actions being taken against those who participated in the hunger strike. Despite efforts by advocates and legislators, the CDCR continues its much-criticized practice of placing inmates into segregated isolation or security housing units (SHU) for unconscionably long periods. It is the indefinite nature of SHU sentences and the highly suspect gang validation process of the CDCR that is prompting the call for increased transparency of the CDCR’s policies and practices regarding solitary confinement. For more information, contact Dolores Canales at dol1canales@gmail.com and Peter Schey at pschey@centerforhumanrights.org. IT IS THE THIRD ANNIVERSARY@!!! good work at screwing up the story!! !